You are in London only for a short stay, and you would like some ideas about where to begin in this amazing city? – Go to the Sky Garden and eat or drink with a spectacular view on London. But don’t forget to book your visit in advance (free)! 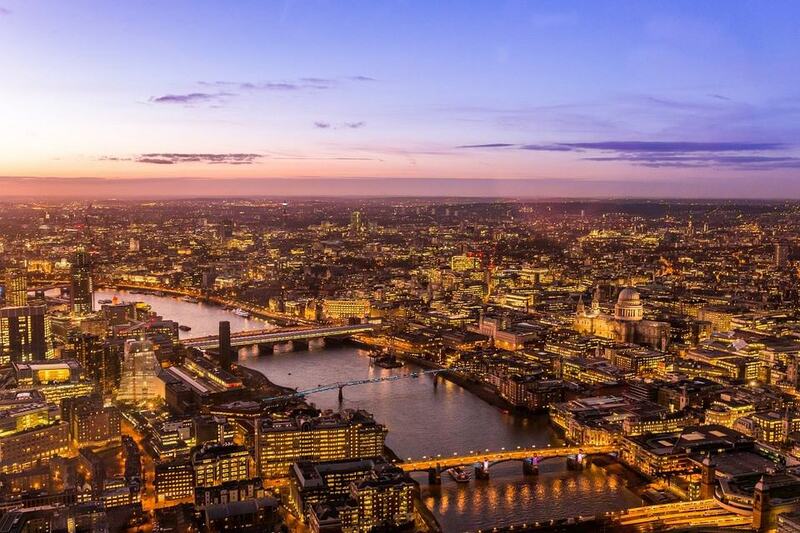 – Take a drink at the top of the 95-floor Shard, also known as Shard of Glass. – Go to Notting Hill to admire the beautiful sunset. – Run at Hyde Park, one of the largest park in London. – Eat a Fish & Chips at a pub on Trafalgar Square. – Go on a cruise on the Thames, you will see key sightseeing locations. – Enjoy the little shops of the Camden Market and assist to one of the numerous events there. – Rent a small boat for the day in Cambridge, and go see the beautiful universities around here. – Dance on a boat at a Silent Sounds Party (regular events). – Go enjoy a famous show at a Musical theatre in Soho. – Take a tour in Buckingham Palace during its summer opening. Have a great stay in London!